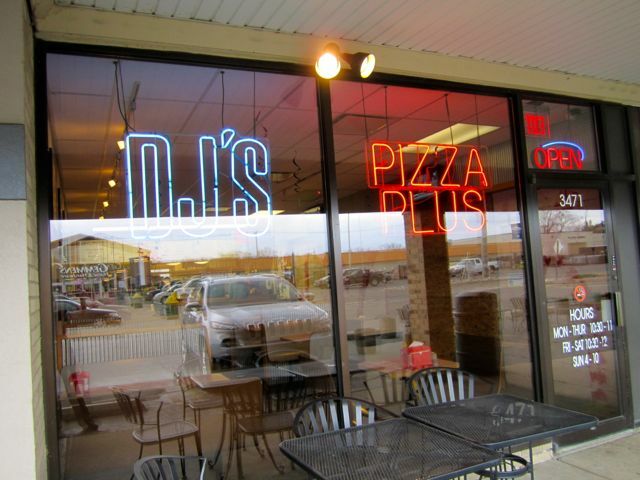 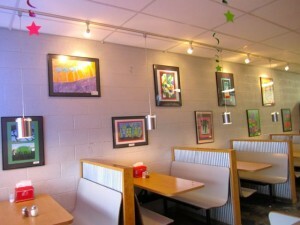 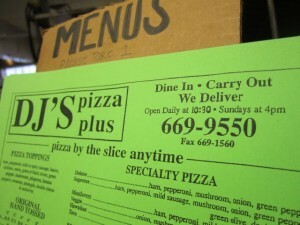 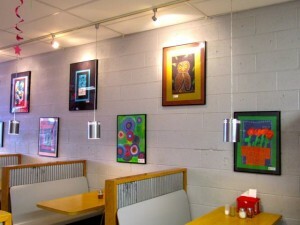 Thanks to Hudsonville’s DJ’s Pizza for letting our HPS Art Department display student art pieces in their dining room! 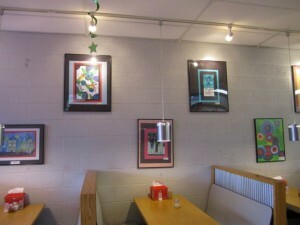 Here’s a look at our newest additions. 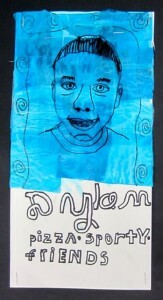 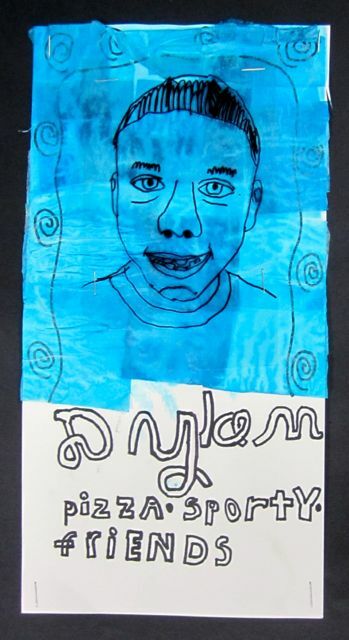 Congrats to Georgetown’s Dylan – gotta love his self-portrait with PIZZA listed as one on his favorite things – perfect for a DJ’s display! This student display at DJ’s helps us achieve one of our Visual Arts Michigan Standards and Grade Level Content Expectations: 21st Century Skills – Exhibit, Present, and Publish Quality Works of Art.